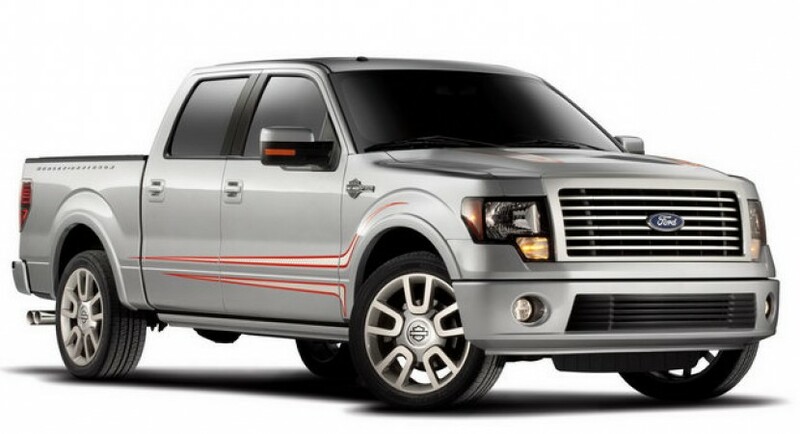 Ford Motor Company has unveiled this year’s version of the F-150 Harley Davidson edition. This year’s beast is powered by a 6.2-litre V8 engine and is THE most powerful variant of the model to date. The engine is also found on the F-150 SVT Raptor and also on the Super Duty. The 2011 F-150 Harley Davidson edition sports 411 hp and 434 lb/ft of torque with a six speed auto gearbox that also has a manual gearshift function if you don’t want or don’t like to use the auto one. According to the manager of Ford’s engine program, Mike Harrison, the engine is also backed up by a special exhaust, placed specifically so that the full roar of the engine will be heard. Only two colour versions are available to choose from: Ingot Silver and Tuxedo Black. The 2011 F-150 Harley Davidson features customised graphics both on the body and on the hood, a chrome grille, 22-inch wheels, Harley Davidson leather seats, a touch screen, voice navigation system, remote start, heated seats and many others. No official prices have been released as of yet, but the 2011 Ford F-150 Harley Davidson will debut this winter.